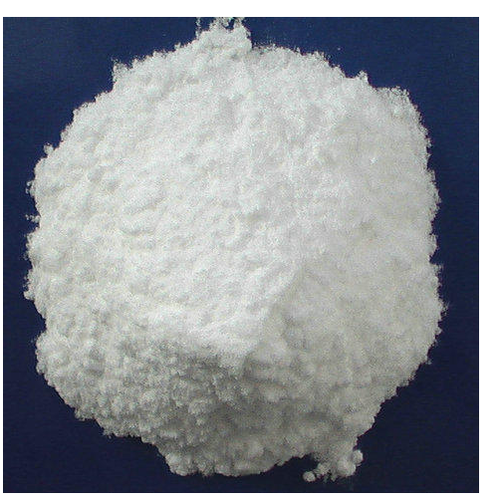 We are the manufacturer of Sodium Citrate Di Hydrate. Backed by more than 28 years of industry experience, Krishna Chemicals have gained immense reputation in the manufacturing and exporting of a variety of pure fine Industrial Chemicals and Drugs. Our association with leading and quality conscious manufacturers of pharmaceutical products allows us to successfully handle the emerging product demands in the domestic market. Catering to the variegated requirements of our global clients, we are delivering our quality products in the market which are at par with international quality standards. Timely delivery, cost-effectiveness and state-of-the-art facilities are some of the key factors that enable us to offer qualitative range in stipulated time frame. Further, the team of quality analysts strictly monitor each stage of production procedure to ensure flawless range. The complete product range offered by us includes Potassium Acetate, Calcium Propionate, Sodium Propionate, Sodium Phosphate, Monosodium Phosphate, Disodium Phosphate, Trisodium Phosphate and many others. Apart from this, we manufacture and export superior quality of Aromatic Chemicals, Potassium Acetate, Calcium Propionate and Benzyl Acetate. Our range are processed from quality raw material that make them high performance in the given application areas.